Don’t be surprised, hidden dry-rot and termites cause over $8 billion in wood damages per year. Regular repair/ replacement of damaged lumber will protect community investments and save money. Let us help! 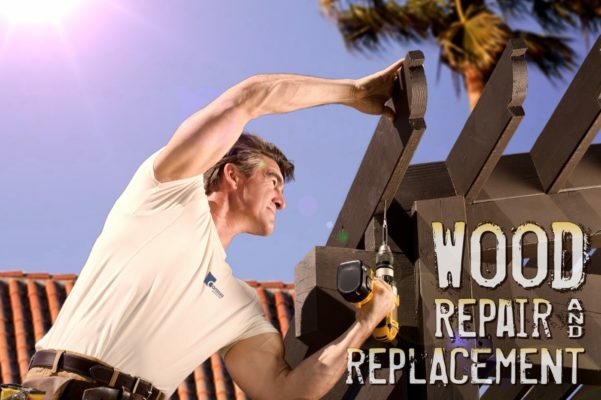 Wood repair and replacement is one of our specialties. Although some pest control companies offer wood-replacement as an extra revenue source – don’t do it! Repairs to existing structures can be technically challenging, needing experienced tradesmen to ensure a quality fix the first time. Trust your properties to the professionals at Carasso. Contact Bill or Dave today to address your damaged wood repair and replacement needs.